This tutorial explains all the steps of starting with .Net Report Builder and setup your Database. The very first thing to do is to create an account on https://dotnetreport.com. Once you sign up and login, follow these steps. Login to your .Net Report Builder account and click on “Setup Database”. Next click on “Add a new Data Connection”, choose a name for database connection and enter the Connection String Key Name from your web config file. 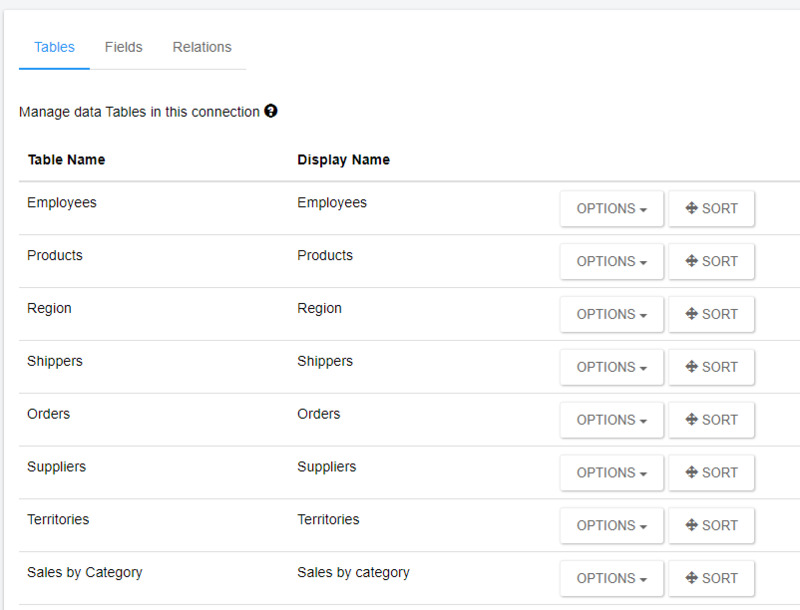 Once you have saved your Tables and Columns, you have to setup the relationships. Click on the “Relations” tab to manage and setup Relations. You can also use the Admin Setup locally in your environment. 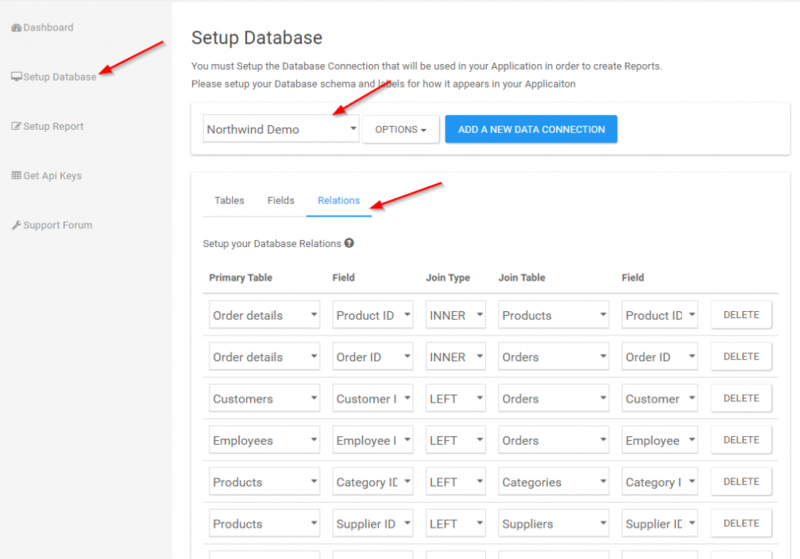 This is a much easier option since when you run it locally, the Admin Setup can connect to your database and Pick up all your Database Tables and Views you would like to include. So instead of manually setting it up, you can simply check boxes and select Tables and Fields. You still have to manually setup the Relations. To use the Admin Setup, install the DotNetReport nuget package, and then navigate to localhost/dotnetsetup.